A story about art, murder, and making your place in history. Whatever it was that drew me to Muriel, it wasn’t her charm. In 1992, morning sickness drives Jane to pre-dawn walks of her neighbourhood where she meets an unfriendly woman who sprays her with a hose as she passes by. When they do talk: Muriel Kemp eyes my pregnant belly and tells me if I really want to succeed, I’d get rid of the baby. Suffering from late night nausea, nurse and aspiring writer Jane Cooper starts pacing suburban streets, trying to exhaust herself. Walking one morning at sunrise she is unceremoniously sprayed by a garden hose as she passes a house. This is how she first meets the enigmatic painter Muriel Kemp. An apt emblem for both the unexpected friendship and novel that will transpire. 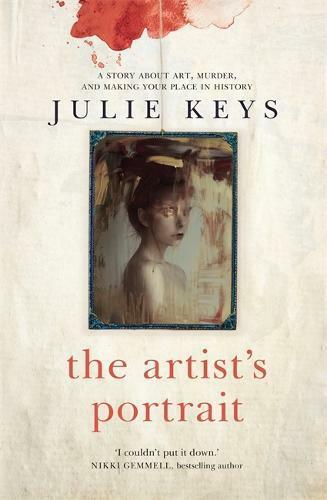 From its outset Julie Keys’ debut novel The Artist’s Portrait follows two strands of narrative. It begins from the perspective of the young Muriel Kemp, who is fighting against the conservatism of the 1920s Australian art world as well as against her own struggling socio-economic environment. The second strand follows Jane Cooper, Muriel’s biographer, in 1992, as she attempts to make sense of the tapes Muriel has left her. These depict a murky and often sordid past. A past that is at complete odds with official history. In fact, according to the foundation dedicated to, and named in her honour – Muriel Kemp has been dead since 1936. Keys is masterful in her employment and exploitation of narrative techniques.The reader follows Kemp’s story from two levels; its contemporary moment in the 1920s, and its reflective retelling through the project of biography. Using this device, Keys teases out the similarities between the experiences of her two key female protagonists despite their differing historical periods. Muriel and Jane both live the complexities of motherhood, creativity and the re-emergence of suppressed trauma. The Artist’s Portrait is a genre-bending novel that embraces all its contradictions, at once an undertaking of murder mystery, biography, drama and art history. Julie Keys successfully makes the reader question what exactly it is that they are reading, all the while scrambling to turn to the next page. This is a work of smart, moving and gripping Australian fiction.